This is the lead track of NCT DREAM's second mini album, "We Go Up." It's an urban hip hop song with a rap that has an old school feel and a catchy vocal hook. It has a blend of diverse sounds such as a bell sound, bubbly bass and popcorn synth. The lyrics were written by Mark of NCT DREAM. 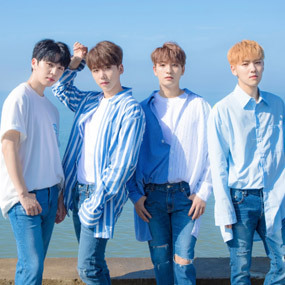 This is the lead track of 100%'s mini album, "Sunshine." 100% experimented with the tropical music style for the first time with this song. The music was co-composed by top composer Cho Young-soo and Lee Yoo-jin, while the lyrics were written by celebrated lyricist Kim Ea-na. 100% showcase their broader musical spectrum through the vocals that seem multi-faceted. This is the title track of LONGGUO's first solo album. 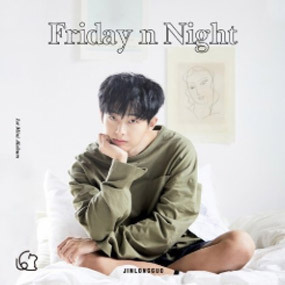 It's a pop ballad song that highlights LONGGUO's soothing vocals and exceptional singing skills. The heartfelt lyrics written by the artist himself express the longing for one's ex and the desire not to forget her. 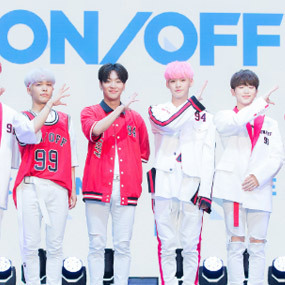 This is the lead track of ONF's second mini album, "YOU COMPLETE ME." 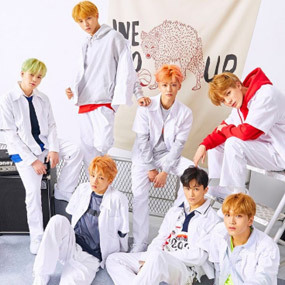 With a house beat that sounds fresh and energetic, "Complete" highlights the youthful and manly sides of the group through the contrasting qualities of the verses and the chorus. The part, "I don't know if you'll believe me, but you complete me," captures the message of the song.